The amount of times I've emailed a person, a brand, a client, and not got a response until maybe a month or so later, when they tell me I've entered their spam folder. When your emails start going into the spam folder, it can be hard to get out of, unless that person lets their email provider know, by clicking the 'not spam' tab, that you're not in fact spam. It seems to be the black hole of the email universe, and when it comes to email marketing, the spam folder is the last place you want your emails to land. Many a time I've missed an important campaign because my emails have wondered off into the wrong folder, so it not only affects marketing but potential work for us why rely on email for our clients too. For me, email is such an important aspect of my job and so it's paramount that my emails are delivered to the correct place. According to market research, 24% of commercial emails were flagged as spam in 2015. That means, 1 out of every 4 emails you send to your users could wind up in the dreaded spam folder. And that's a lot of potential missed clients and sales. So, what do you do to achieve inbox status rather than being labelled as spammy content? We’ll go over everything to know about email spam filters so that your content is front and centre at the top of your users’ inbox. Why are your emails going to spam? Spam filters look into many aspects of your emails to determine if they’re worthy to take up space in an inbox or not. If spam filters didn’t exist, your emails would get lost in a flood of email fluff, for lack of a better word. As a result, ESPs set up their own personalised criteria to filter and sort through all of the necessary, and unnecessary, content. Subscribing to an email list is basically the permission slip the company receives to send their content to your inbox. If your company is sending email content to those that never opted-in, your emails could be on the fast track to the spam folder. According to the CAN-SPAM Act, it is required to obtain your user’s permission. If you want to take all of the necessary steps to avoid spam folders, be sure to implement the correct opt-in steps to obtain your audience’s permission. You didn't include your physical address. Another important step instilled by the CAN-SPAM Act is the requirement to include your physical address in all of your email campaigns. And, let’s be honest, if you’re a business—a valid address makes your business look more credible. Emails that fail to include their physical address will force spam filters to send your content to the spam folder. If you work out of your home and don’t feel comfortable putting that information out there, you can acquire a P.O. box and include that address instead. You have low open rates. Increasing your open rate is always a top priority and the most difficult to achieve, but it’s not impossible. Emails that have a consistently low open rate will eventually be flagged as spam. But, the control lies within your user and you can’t force them to open your emails. Make sure you’re staying on top of who your audience is so that you can evolve your content as they evolve themselves. Maintaining a thorough understanding of your users allows you to create valuable content for them. More importantly, you can perfect the timing of your emails. What time of day are your users diving into their email and sorting through their inbox? How often do they like to hear from your company? Figure out how you can manage the timing of your drip email marketing campaigns to encourage a higher open rate. Your subject line looks suspect. It's no longer true that spam filters flag certain words (like "free" or "winner") to determine if your email is junk. However, they do use engagement metrics to identify whether or not an email is spam—and if your subject line looks suspect, your subscribers aren't likely to engage. Over time, that will have an adverse effect on your open rates and decrease the likelihood of landing in your user's inbox over time. When creating your subject lines, don’t format them in ALL CAPS and avoid the overuse of punctuation (!!!!!!). If you have no idea what I’m talking about—take a peek at your spam folder and you’ll see exactly what I’m referring to. Again, it's all about increasing engagement because email providers use that data to determine whether or not your email is spam. The takeaway? Make sure your subject line looks like it was written by humans, for humans, and has a compelling and relevant offer that compels the recipient to open it. If it's clickbaity, you might get a few extra clicks to start off with, but people will soon realise the way you work and stop reading, or subscribing to your emails. Now that you understand the reasons why some emails are flagged as spam, what can you do to prevent it from happening to your email campaigns? It’s important to analyse these reasons and find the solutions to some of the email crimes you may be guilty of. Spam filters have become familiar with companies that acquire email addresses by purchasing email lists from third-parties. Those that send their content to users who are technically not subscribers will find their emails deep within the spam folder. You can prevent your emails from getting lost within a pile of spam by not buying your email lists and acquiring your subscribers the right way, by asking for permission. It is also important to note that in the UK, emailing someone your newsletter without their permission is against GDPR practice and you can be fined as a result of this if you are found to have breached this. Increasing your open rates through top-notch email content will help you avoid the spam folder, but how do you determine what’s valuable to whom? Segmenting your audience will help you divvy up your users into vital groups based on their relationship with your brand. Factors like their position in the sales funnel or their engagement with your company helps you create content that appeals to that specific group of users. You don’t want to send blanket emails to everyone on your email list when some have just been introduced to your brand, while others have been subscribed to you for years. Strive towards higher open rates by segmenting your audience into specific groups and send them the necessary content they will find valuable. When you are choosing an email service provider (ESP), you must be confident that your choice is credible and is not associated with spammy email content (via their other clients). Unfortunately, your sender reputation could suffer if your ESP is working with companies that send out spam to their users. Spam filters are designed to sort through IP addresses and determine if it passes the clearances set in place. In order to prevent your email content from being flagged as spam, be sure your ESP only works with credible companies and valuable email content. The content within your emails is no longer relevant or they receive too many emails. They are no longer interested in your content. Users weren’t aware that they subscribed. You can begin your email marketing strategy by providing valuable content to your users. If your content is invaluable to your audience, they will either unsubscribe or report you as spam. You can’t go wrong with creating the content your audience wants to see. Keep your audience engaged with your content by creating emails that tap into their needs and wants. Also, be sure to follow all of the necessary guidelines that the CAN-SPAM Act has set in place. Being a rule-breaker isn’t a cool thing today in the world of email marketing. Follow the rules, and you won’t have to worry about any consequences. We’ve covered pretty much everything to know about spam filters including how you can adjust your emails to satisfy the spam filters your emails will encounter. However, the important takeaway here is to understand that you need to provide valuable content to your users. 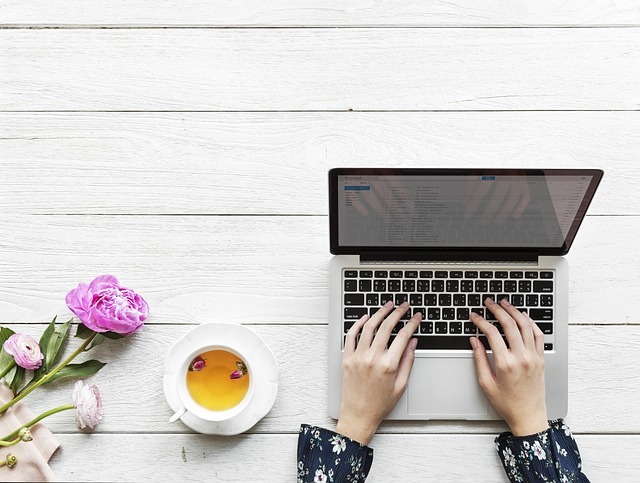 Take these tips from and apply them to your current email marketing strategy, but don’t forget to let your users’ needs inspire your next email – and every single one after that. There are many ways to improve your email strategy, check out myemma.com for more helpful information. An interesting post. Thank you for sharing. I get fed up of mine - I'm always losing emails I wanted. Regional foods of the UK – How did they begin?